Our family loves to enjoy a good movie together, but with two 6 year old kindergarteners we often find our options limited. I can't count the number of times last year my wife and I discussed going on a family outing to the movie theater only to find that there wasn't anything suitable playing that we felt was a good fit to take our kids to go see. 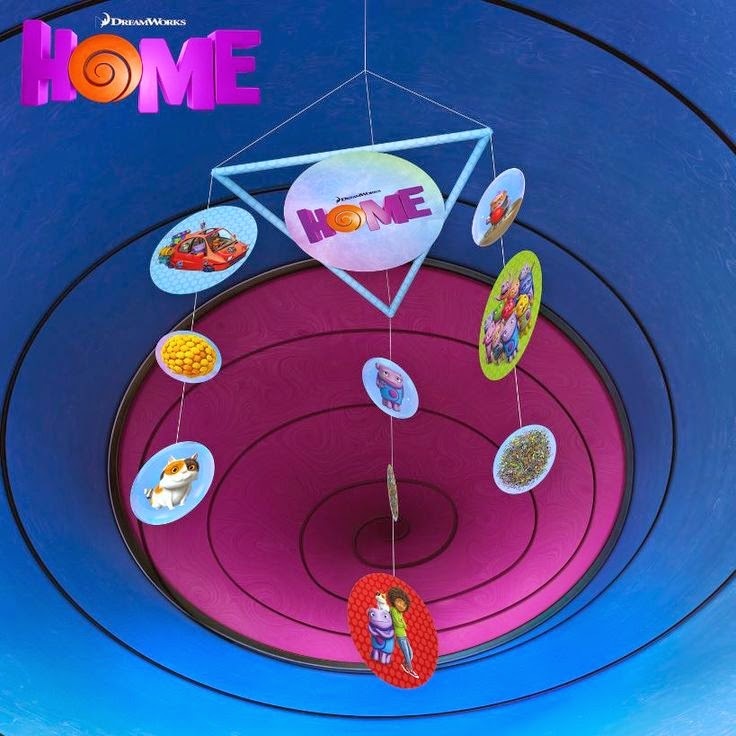 So we're always keeping an eye out for good family friendly films arriving in theaters like DreamWorks Animation's HOME which debuts on March 27, 2015. 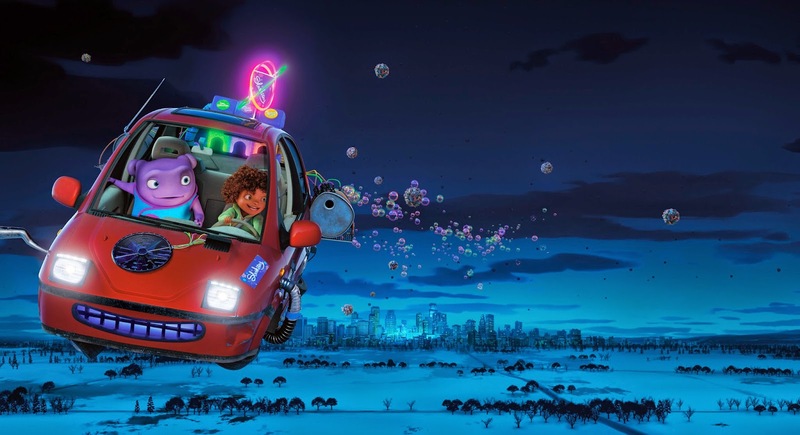 In HOME, when Oh, a lovable misfit from another planet, lands on Earth and finds himself on the run from his own people, he forms an unlikely friendship with an adventurous girl named Tip who is on a quest of her own. 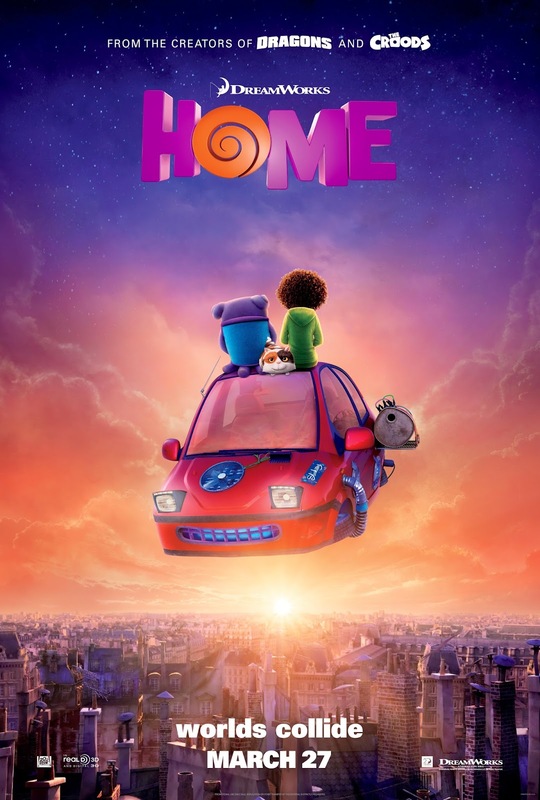 Through a series of comic adventures with Tip, Oh comes to understand that being different and making mistakes is all part of being human, and together they discover the true meaning of the word HOME. This movie stars The Big Bang Theory's Jim Parsons along with Rihanna, Steve Martin, Jennifer Lopez, and is directed by Tim Johnson. EMAIL (1 ENTRY) - Email thegeekdaddy [at] yahoo [dot] com with your name, mailing address with subject line FUN HOME. 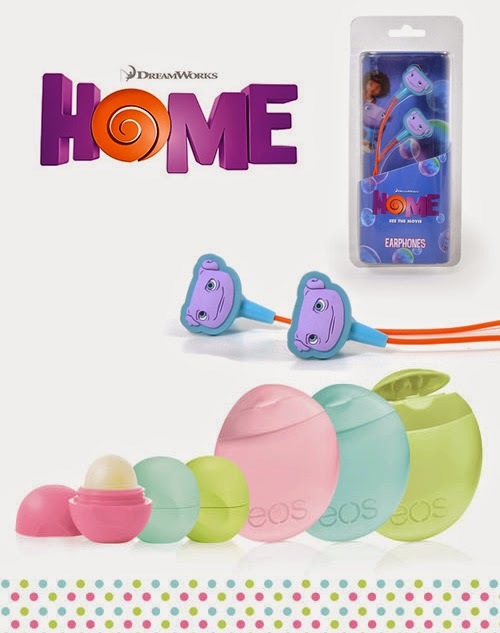 While you are waiting to see if you've won this great prize pack and for this movie to hit theaters so you can go see it, check out these HOME activities you can do with the kids in your life and have some fun. Click on these links to download templates to make a Bubble Mobile or 3-D Oh for a family activity together. You must be a US resident to enter over the age of 18 to participate in this giveaway contest. A Geek Daddy Blog will select a random winner on Monday, March 23, 2015 ( 1 winner will be selected from a random draw of all eligible entries - each submitted entry will be assigned a number and a random number will be drawn to select a winner based upon total entries ). 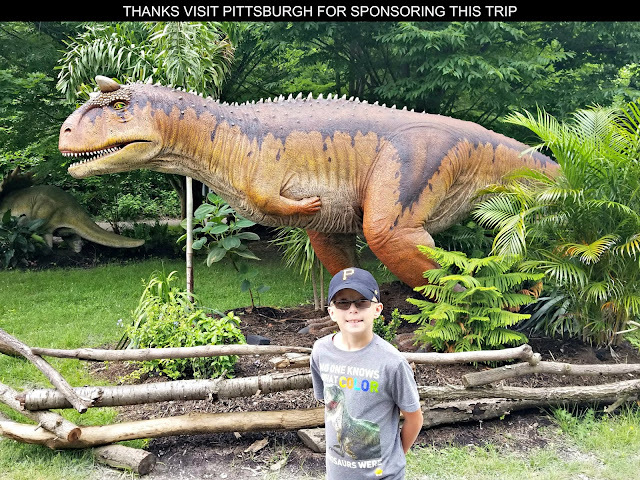 A Geek Daddy Blog will be responsible for selecting the winner of this contest, but DreamWorks Animation is responsible for fulfillment and delivery of the prize. You waive any liability towards A Geek Daddy Blog or its publisher that may arise from your involvement with this promotion. 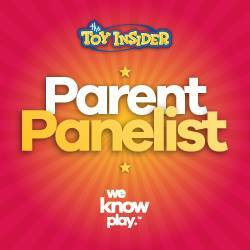 A Geek Daddy Blog hosted this contest and blog post based upon DreamWorks providing the prize to the selected winner. Only one entrant per mailing address per giveaway. If you have won the same prize on another blog, you will not be eligible to win again. Winner is subject to eligibility verification. No P.O. Boxes are allowed as mailing addresses. A Geek Daddy Blog is hosting this giveaway as a benefit to our readers. A Geek Daddy Blog did not receive financial compensation for this post but did receive a similar prize pack for the publisher's personal use. The thoughts and opinions expressed in this post are that of the publisher of this blog and not that of the prize sponsor though DreamWorks Animation did provide information and content to be used in this blog post. E-mails received from those not selected as the prize winner will not be forwarded to the prize sponsor or any other third party and deleted at the conclusion of the promotion.